On 24 August 2018 Women’s Housing Ltd gratefully accepted a generous cheque from Shebah, an all female ride share service. 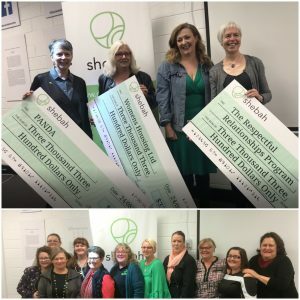 Shebah have a fleet of fabulous female drivers that enable women across Australia to access safe and convenient transport. Not only has Shebah very kindly donated 1% of all fares to charity but they are also committed to supporting their women drivers to access economic opportunity by ensuring they keep 85% of their fares. Thank you Shebah for the many ways you are supporting women. 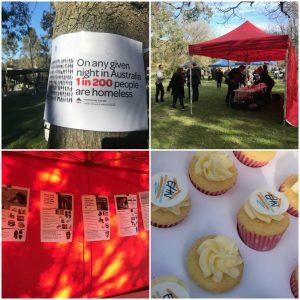 On Tuesday 31 July 2018 Women’s Housing Ltd assisted Eastern Homelessness Network in their Walk to End Homelessness. Lots of sunshine, smiles and cake to raise awareness for a very serious issue! 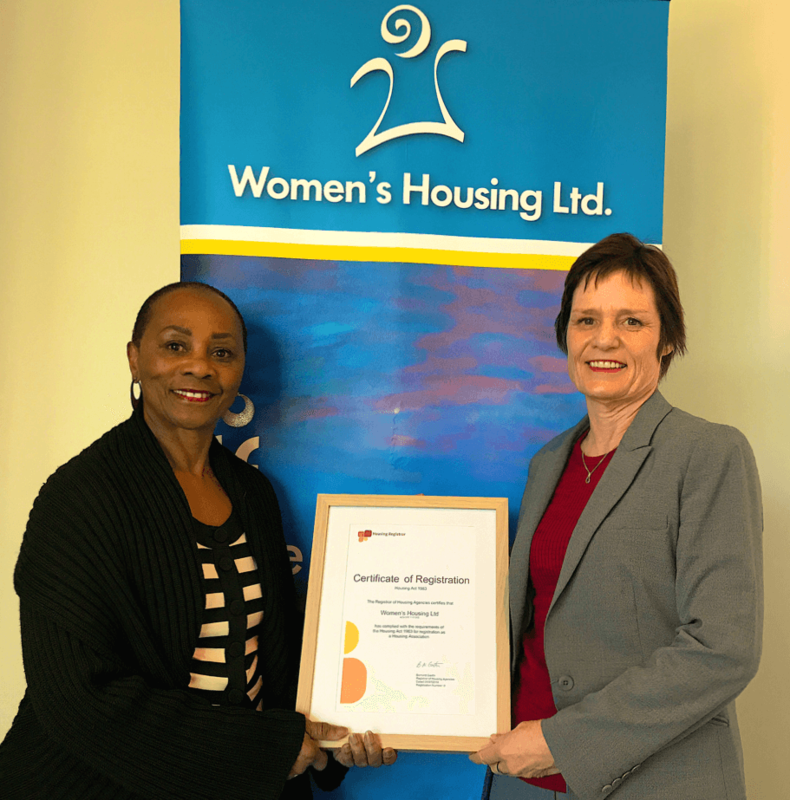 Women’s Housing Ltd are excited to announce the Housing Registrar has approved our application to become a Housing Association. 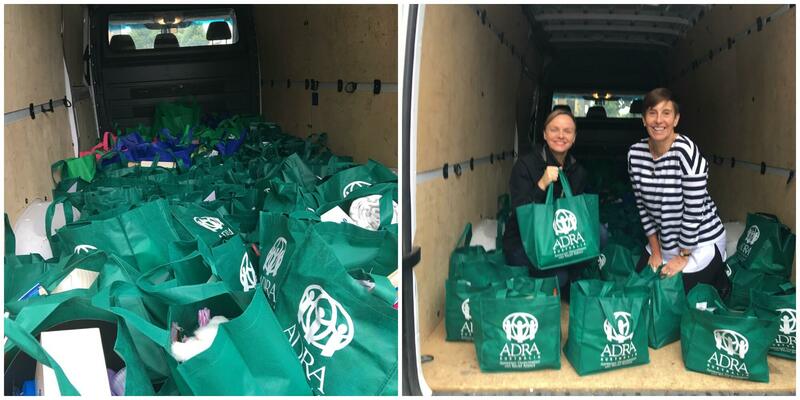 ADRA have generously donated welcome packs full of essential items for our tenants. What started out as a full van soon got emptied. Rebecca Aurient from ADRA assisted Jacqui to deliver the packs to our THM tenants. Thank you ADRA for your continued and ongoing support! 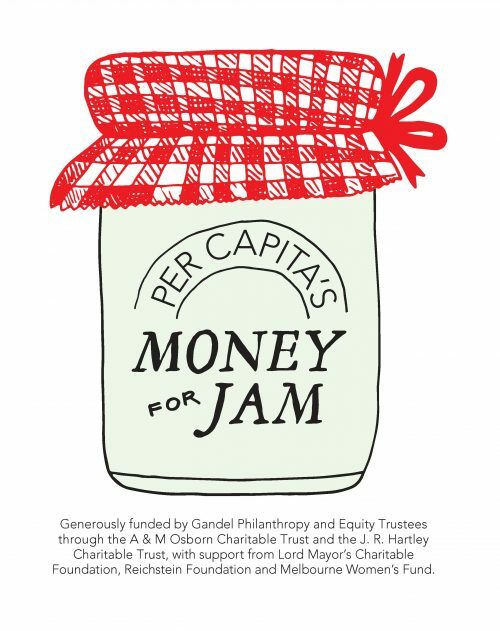 On Friday 25th May Money For Jam Participants were treated to a special guest presenter. Prabin Guatam from VIS Network, a digital marketing consultancy, volunteered his time and expert knowledge to talk about marketing and how the women could use digital marketing to further their business ideas. Prabin encouraged all women to find their passion and belief in their ideas. The woman practiced their 30-second ‘elevator pitch’. The session was well attended and there was a buzz in the room. Early May was a busy time at the rooming house with tenants benefiting from two different workshops. On 4 May, Nigel Joseph from EACH attended the Berwick Rooming House to discuss the services EACH can offer regarding drug and alcohol use. EACH recognise that health and wellbeing is significantly and negatively affected by factors such as unemployment, homelessness, financial difficulties, social exclusion and addiction so they offer a wide range of supports to assist members of the community to lead happier, healthier lives. On 11 May, Lisa Hansen from Casey North Community Information and Support Service attended the Berwick Rooming House to run a financial literacy workshop. Casey North CISS has a range of services and programs that have been developed to respond to the pressing needs of the local community. The feedback from the tenants was very positive. Thank you Nigel and Lisa for your time and support. Guess who turned up on her bike to have a look at Women’s Housing Ltd’s new development…Senator Janet Rice. 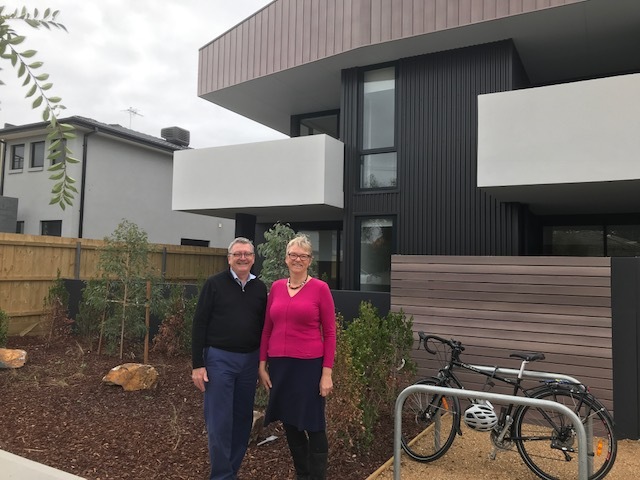 Senator Janet Rice was in the neighbourhood and interested in our housing specifically for women at Newport. She is currently setting up a trust for green energy initiatives for housing. The gardens at Bayswater are having a makeover thanks to the wonderful volunteers from the Wantirna Seventh-Day Adventist Church. Women’s Housing Limited believes a home is not just a roof over your head. 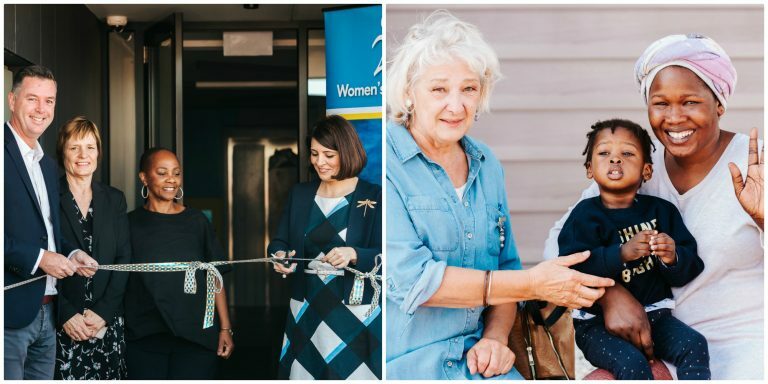 With the valuable support from Wantirna Seventh Day Adventist Church we are able to provide additional services to improve the lives of our tenants and help them to feel safe and secure. The project started on 15 April 2018 with volunteers redoing the watering system. Then on 22 April 2018 the gardens at Bayswater were active again with more than 20 people helping to weed, plant, dig, shovel and just simply work hard. Stay tuned for the final stage in a couple of week the gardens will be finished with a teen area and a children’s playground. 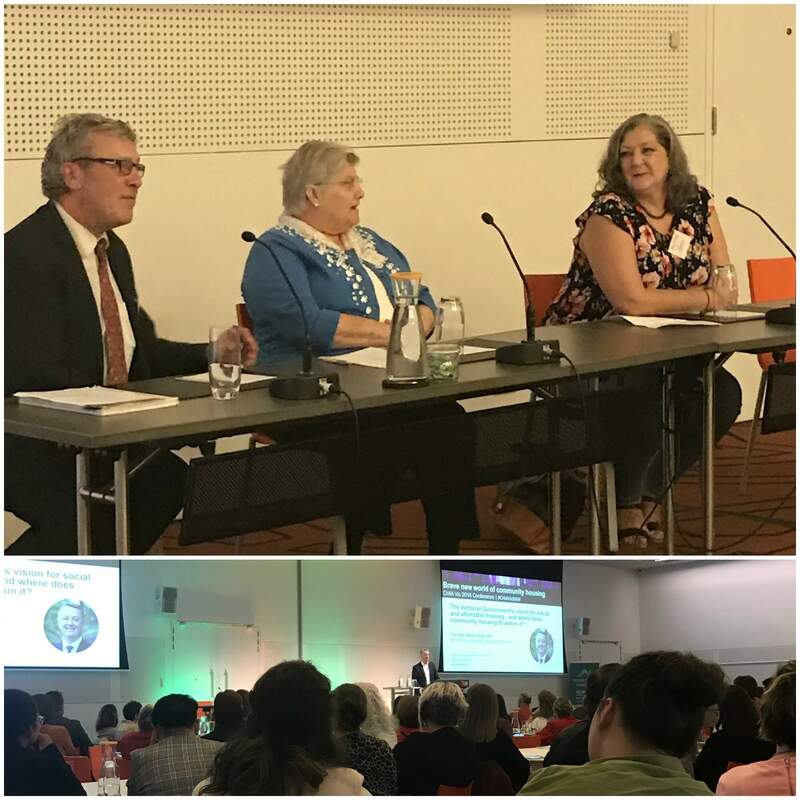 On Thursday 19 April 2018 several staff from Women’s Housing Ltd attended the CHIA conference: Brave New World of Community Housing. Staff heard from, Derek Ballantyne, the man tasked with implementing Canada’s $40 billion National Housing Strategy and about expectations of our social landlord role. Staff were also there to support Anne Winters, a Women’s Housing Ltd tenant, who agreed to speak at the conference. She talked about what she wanted from a landlord and what she got from Women’s Housing Ltd. Thank you Anne for once again supporting the Community Housing Industry and being a wonderful advocate for women suffering a housing crisis.